Bengaluru-based business-to-business logistics startup BlackBuck, which is run by Zinka Logistics Solutions Pvt. Ltd, has appointed Dinesh Ajmera as chief technology officer. Ajmera previously worked as CTO with Dubai-based online retailer Souq which was acquired by e-commerce giant Amazon in March this year. Ajmera will lead technology-led initiatives at Blackbuck, BlackBuck said in a statement. 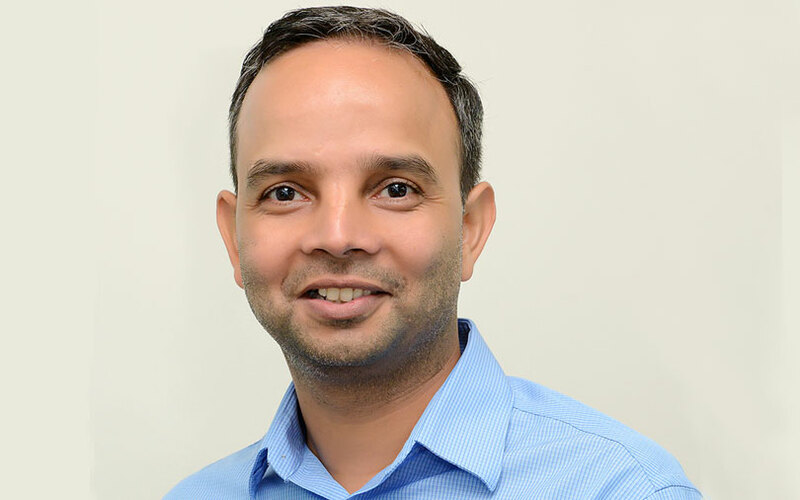 “Dinesh brings years of experience in building and scaling technologies... His addition to the leadership will not only provide an impetus to technology-centric innovations but also accelerate BlackBuck’s growth,” said Rajesh Yabaji, co-founder and CEO of BlackBuck. The latest appointment by BlackBuck comes over four months after it named Arvind Singhal, former executive at jewellery e-tailer BlueStone, as chief operating officer. Last month, VCCircle had reported that Flipkart, which is an existing investor in BlackBuck, brought founder and group CEO Binny Bansal to represent it on the logistics startup’s board. Ajmera is a computer engineering graduate from IIT Bombay and also holds a master’s from University of California. Besides Souq, he previously served as vice president of engineering and technology at real-estate tech firm CommonFloor.com. He also worked with Walmart, Amazon, Oracle and Microsoft. “BlackBuck is a pioneer in the online freight ecosystem and aims to disrupt this space with the power of data and technology,” Ajmera said. BlackBuck was founded in 2015 by IIT Kharagpur alumni Yabaji, Chanakya Hridaya and Ramasubramaniam B. The company focuses on B2B logistics solutions for long-haul trucking. It brings together shippers and truckers through its online marketplace to facilitate inter-city freight transportation. The firm counts Asian Paints, Unilever, Coke, Britannia, Godrej, Marico, Jyothy Laboratories and EID Parry as its customers. The two-year-old startups is one of the significantly funded startups in the logistics tech space, having raised a little over $105 million in external funding to date, according to VCCEdge, the data research platform of News Corp VCCircle. The company counts Tiger Global, Accel Partners, Sands Capital, International Finance Corporation, DST Global, Innoven Capital and Flipkart among its investors. Last month, it raised Rs 50 crore ($7.69 million) from InnoVen Capital, the venture debt arm of the Singapore Government’s sovereign fund Temasek. In March this year, BlackBuck raised $70 million (Rs 476 crore) in a Series C funding round led by Sands Capital and IFC along with existing investors Accel Partners and Flipkart. Yabaji recently told VCCircle that the company is about to attain profitability. Last month, Tiger Global and Accel bought back shares from 35 employees of BlackBuck.